You’ve surely heard plenty of chatter about the Central Maine Power Company / Hydro Quebec power line. It is called New England Clean Energy Connect, or NECEC. The project is presently seeking approvals in Maine from the Public Utilities Commission (PUC) and the Department of Environmental Protection (DEP), as well as the Massachusetts utility regulator. It is a big deal, and it has elicited vehement opposition in Maine that is reminiscent of fights like Maine Yankee, clear cutting, Big-A, Lily Bay and Bigelow Preserve. Some observers even see uncanny parallels to the “water wars” of 100 years ago, when Governors Baxter and Fernald fought with CMP founder Walter Wyman over his plans to electrify southern New England at rural Maine’s peril. This is an FMM update, followed by a call to action asking you to submit comment. NECEC proposes to deliver 1200 megawatts of power from Quebec through Maine to satisfy a Massachusetts policy initiative that drew dozens of bids in an RFP process. Massachusetts and the New England grid system (ISO-NE, of which Maine is a member) need to fill a void resulting from the retirement over a decade of several reliable power plants that collectively generate at least 5000 megawatts. It was welcome news for Maine that Massachusetts awarded the bid to big hydro rather than the scores of Maine wind “farms” that submitted proposals. Of course, wind cannot provide the base load or peak load power that is urgently needed to avoid huge cost spikes and “rolling blackouts” that the ISO-NE has been warning us about. The fact that hydro is clean (or relatively clean) energy was a bonus for us, because Maine sits at the tailpipe of America. NextEra Energy Resources (NEER) is an intervenor in the PUC’s NECEC Case. NEER is adamantly against the NECEC line, as NEER has plans for several wind projects in Western Maine. See NEER submission showing where it wants new converter stations to accommodate its numerous wind & solar proposals. Of course, the wind lobby is against NECEC because a HVDC line would exclude adjacent wind projects from connecting to it, absent very costly converter stations… none of which should not be a consideration for the PUC in this case. NEER has submitted RFP responses in Southern New England for almost 500 MW in Maine wind projects. 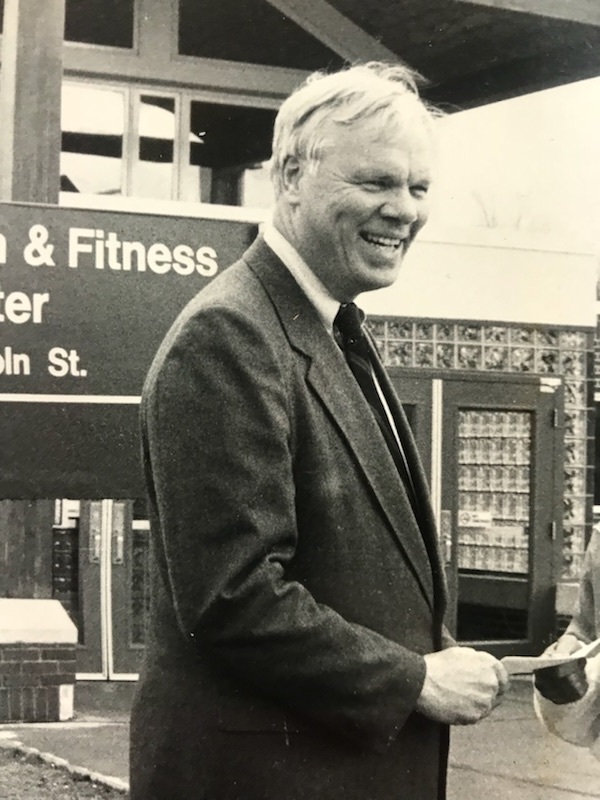 NEER also owns Seabrook Station, and if NECEC results in a fraction of a penny reduction in ISO-NE energy costs, Seabrook could take a multi-million dollar haircut annually. The PUC case has gone on for a year, but NEER is doing its best to gum up the works. This week, NEER moved that the PUC delay the hearings AGAIN. 2. They would rather see Maine host unfettered wind and solar generation instead. Look at two existing Maine power sources that have the same generating capacity: An Aroostook wind project, and every solar panel in Maine. It would take 102 wind projects the size of Mars Hill (that would be 2800 turbines plus multiple power lines) to theoretically equal the power delivered by NECEC. Or it would take ALL the present 4108 (both rooftop & grid scale) solar installations in Maine times 190. Even if Maine had enough real estate, of course, neither wind nor solar could fill the New England need for reliable generation. The PUC is scheduled to resume evidentiary hearings (with dozens of lawyers and very expensive expert witnesses traveling to Hallowell, Maine) on October 30. The PUC’s Hearing Examiners are expected any time now to rule whether to accept or deny NEER’s delay motion. FMM is an intervenor also. FMM’s position is that Massachusetts isn’t doing enough to site its own reliable generation, but instead looks upon Maine as a power plantation. That said, FMM has always promoted a sober analysis of impact versus benefit when considering such projects, and CMP has indicated a willingness to compromise. FMM assumes that in the near future that no nuclear plants will be proposed anywhere between Provincetown and Stockbridge. FMM could support the NECEC if there are guarantees that the HVDC line would not allow adjacent wind projects to connect, and if the corridor will not be expanded to accommodate same, and if Massachusetts commits to shouldering more of the energy infrastructure burden. Whether you are for or against the NECEC, you could submit public comment to the PUC saying the hearings should continue as scheduled (already very far behind) so Mainers can settle this divisive matter. The longer NECEC’s decision is delayed, the longer hundreds and thousands of planned wind turbines remain in queue, viable on paper, lurking over Maine. It would not hurt to mention that the PUC’s “necessity” decision should not be influenced by important albeit irrelevant issues like visual impact or the endless debate about whether big hydro is very clean or somewhat clean. And the decision certainly shouldn't be influenced by NEER’s dreams of building massive Maine wind projects. For months, the above groups have been rallying the public against NECEC. They have issued multiple call to action notices, urging members to flood the PUC with opposition comments. FMM has not done that because while FMM is on record as against the NECEC, FMM also recognizes that the issue is more complicated than many have depicted it, and that if done properly, its benefits could exceed its impacts. Today, FMM simply urges concerned Mainers to submit an online comment with the PUC urging them to deny NextEra’s delay motion. Just click this link, type case number 2017-00232 and submit your comment. 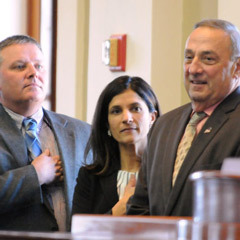 Thanking Governor Paul LePage for the “honor” of being appointed, Chris O’Neil has withdrawn from the controversial Maine Wind Energy Advisory Commission. O’Neil is a private consultant and lobbyist who has represented Friends of Maine’s Mountains (FMM) since 2009. FMM is an intervenor in two adjudicatory proceedings: the RoxWind case at the Department of Environmental Protection and the CMP-Hydro Quebec case at the Public Utilities Commission. O’Neil is also monitoring the Massachusetts Department of Public Utilities as it adjudicates the CMP-Hydro Quebec procurement. FMM also anticipates multiple wind development applications that have been mothballed could start to reappear because the CMP-Hydro Quebec project seems to be stalling. O’Neil’s letter to the governor is a public document, so FMM has decided to publish it HERE. FMM’s comment to the Commission can be found HERE. The Public Utilities Commission continues its proceeding for the New England Clean Energy Connect (NECEC) project. A decision is expected sometime around year-end. You still have time to comment in Maine and in Massachusetts. Instead of one transmission line, Maine could host 2800 of these Mars Hill craters, and transmission lines, and dirty capacity power plants would still be needed. In Maine, the Public Utilities Commission and the Department of Environmental Protection will hold a public hearing later this year, TBA. You may submit your comment now by clicking here. 1. That the corridor will host only the High Voltage Direct Current (HVDC) Transmission line with no opportunity to "on-ramp" future Maine wind projects along the route. 2. That no expansion of the corridor for Alternating Current (AC) transmission be allowed (which could accommodate future Maine wind projects). 3. That Massachusetts agrees to allow critical pipeline infrastructure that protects Maine/New England ratepayers from exorbitant peak pricing. FMM has publicly criticized certain environmental groups like the Conservation Law Foundation (CLF) and the Natural Resources Council of Maine (NRCM) because those groups have simply said NO to the NECEC (and previously to the Northern Pass in New Hampshire) while saying YES to every wind project to-date in the ten years since the heinous Expedited Wind Law was unanimously enacted under the cover of darkness in the Maine Legislature. They have repeatedly and dutifully said YES to Big Wind despite the miniscule potential for reducing emissions or any other material benefit. Amazingly, neither group uttered a peep when the legislature raised the speed limit to 75 MPH, even though in Maine TRANSPORTATION is responsible for SIX TIMES more CO2 than ELECTRICITY. Both so-called "environmental" stewards have done much good over the decades, but both are on record in this case opposing the NECEC in part because they would prefer to see Maine's mountains destroyed with thousands of wind turbines. Their lack of critical thinking is confounding. Sure, it feels good to add wind and solar to our mix. But the base load and peak load plants that have been and will be closing in New England cannot and will not be replaced (or even displaced) by wind and solar, neither of which provide grid-dispatchability. Moreover, CLF and NRCM decry the devastation caused by one swath of 120' tall power lines, while they're uncompromisingly complicit with thousands (yes thousands) of wind turbines towering, thumping and blinking 500 feet above the ridges of Maine's North Woods. Yes the power line has an impact, but these opponents apparently don't calculate impact vs benefit. It seems that they just want what feels good. FMM's position is if Bay State politicians want to bow to CLF's lobbyists and they decide to mandate feel-good electricity, they should also mandate that it be located in Massachusetts. If there isn't room for it there, then these HVDC lines are the next best option. Electricity does not and will not be confined by borders. So which electricity do we choose? Some mathematical perspective: Either project -- the Northern Pass or the New England Clean Energy Connect -- would provide roughly the equivalent power that the Seabrook (zero emission) nuclear plant provides. But we've evidently ruled out nukes, so what then? Feel-good wind all over Maine. But at what cost? Let's look at the largest wind projects in New England: Kibby and Bingham. The sprawling Kibby Wind project sailed through the permitting process with minor opposition despite its massive impact on huge Maine wildlands. FMM was the ONLY opponent to the Bingham Wind Project, which planted 500' tall turbines at high elevation/visibility over a 16 mile stretch AND many more miles of power lines all the way to Parkman. Both of these “clean energy” wind projects harm water and wildlife over thousands of acres and they violate the scenic experience along pretty much all of Maine’s 280 miles of Appalachian Trail, not merely 200 yards across the Kennebec gorge. Where were CLF, NRCM and their allies when Bingham and Kibby were built for Massachusetts utilities? They weren't on the sidelines, no. They were among the strongest cheerleaders! So what did they get for selling out Maine? Despite the massive negative impacts of these two wind projects, they don't move the needle on the grid, especially when the power is needed. At 185 MegaWatts nameplate, performing at a generous 30% capacity factor, it would require 20 Bingham projects to (unpredictably) equal the MegaWattHours provided by either NECEC or Northern Pass. It would take 30 Kibby projects or 100 Mars Hill projects. What would be left of the greatest outdoor experience east of the Mississippi? Where would CLF and NRCM choose to erect those thousands of flashing-thumping skyscrapers, the connecting transmission lines, AND the expensive/dirty capacity power plants that would still be required to make the wind turbines useful for the New England grid? ...then please write to the Maine PUC here and the Massachusetts DPU here. Do it today, while the Maine Brand is still salvageable. 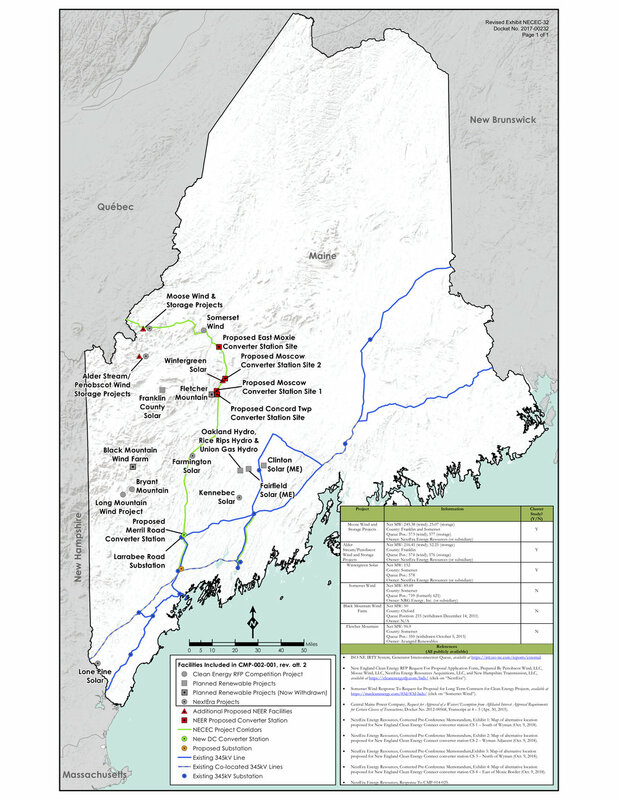 Friends of Maine's Mountains has been granted intervenor status in the case for Central Maine Power Company's power line from Quebec to the New England grid. In the New England Clean Energy Connect, FMM sees both positive benefits and negative impacts. Although on paper the proposed project is for Massachusetts utilities, it could affect all New England ratepayers, and it could have major ramifications for future Maine wind development. 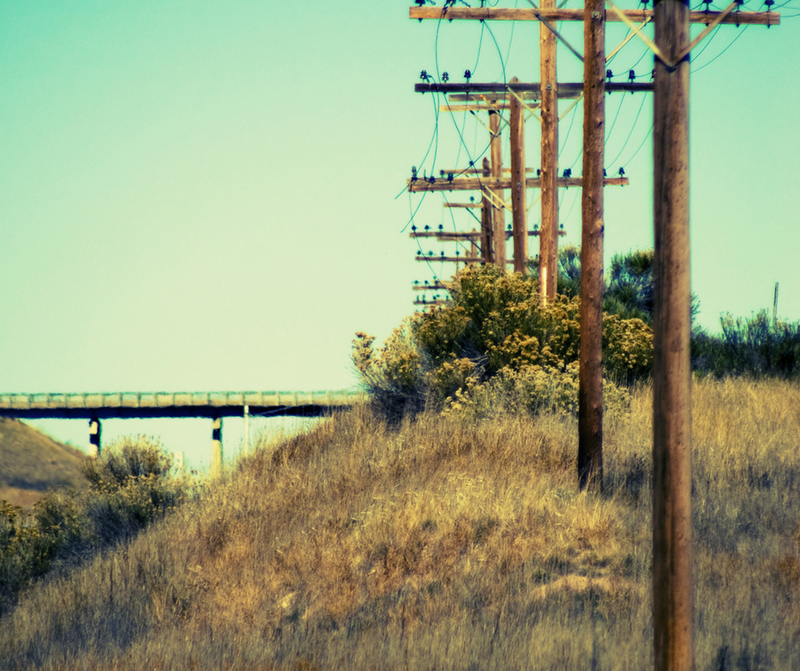 FMM prefers that Massachusetts would host its own electricity infrastructure, unlikely as that may be. FMM would only support the project if certain conditions are required. To read FMM's testimony, CLICK HERE at # 103. A lot. And not much. awarded to the Northern Pass, a High Voltage Direct Current Transmission Line that would provide clean, reliable, dispatchable power. Mainers were thrilled to learn that Massachusetts selected the good stuff instead of a passel of feckless wind projects in Maine's most precious places. But then Northern Pass hit a snag when the permitting authority in New Hampshire denied a license for the game-changing transmission line. Suddenly, the thousands of Maine wind turbines that had bid in the RFP were breathing new life. Will the Massachusetts selection committee jettison Northern Pass, or will they stick it out through a potentially long appeal process? There are alternatives on the table. Since Massachusetts seems intent on importing -- rather than generating its own -- clean energy, Mainers are on guard. CMP's New England Clean Energy Connect is a strong contender to replace Northern Pass. FMM's first priority is to see Massachusetts host its own generation facilities. But since that is unlikely, and because Maine is intricately connected to Massachusetts via the ISO-New England grid, FMM has been advocating for clean and dispatchable power that can replace/displace the thousands of megawatts of power that is going off-line. No amount of wind turbines despoiling Maine's Quality of Place can fill the void that New England faces. FMM is monitoring the situation and will keep you informed. Frustrated with the Legislature's years of inaction on reforming the ludicrous Wind Act, and fearing the thousands of turbines bid into the Massachusetts FRP, Governor Paul LePage issued a de facto moratorium on new wind projects. He also ordered a study commission that will examine Big Wind's negative impacts on Maine's brand and tourism. A desired outcome is a fresh look, supported by ten years of data and unfortunate experience, at the omissions and false presumptions of the 2007 Wind Task Force. Big Wind's pending threats. While the Wind Act blithely called for 2000 megawatts of installed wind capacity by 2015, Mainers have succeeded in subduing the assault. Today only 900 megawatts is online, and on average, the grid only gets less than 300 megawatts of power from that multi billion dollar "investment." The 2017 figures say that wind contributed only 3.2 percent of New England's electricity, despite the exorbitant costs. Over a billion dollars has been spent on Maine wind projects. Billions more have been spent on the transmission lines that make it all somewhat possible. And New England ratepayers are now spending billions every year to keep dirty old oil and coal plants afloat and burning fuel for the days and hours when the wind fails to blow. This is unsustainable. in 2017 accounted for almost 20 percent of all Maine electricity generation. On the surface this sounds impressive. But Maine has stopped being a net exporter of electricity and is now a net importer. Too often, those necessary imports (when the wind isn't blowing) rely on dirty oil and coal from New Brunswick. This is backwards energy policy, and a clear indicator that Maine has reached its limit, both environmentally and economically. The fabled Maine Quality of Place cannot endure any more industrial wind projects, and the Maine economy cannot endure the cost. continues to do nothing to stop the greatest threat in history on the Maine Brand. The 2008 Wind Act passed unanimously with no debate or scrutiny, for reasons that made no sense, environmentally or economically. The same Maine legislature that presumed it could deploy wind energy to mitigate climate change recently passed a law (unanimously) to allow 75 mPH speeds on the Interstate 95 highways. This happened unwittingly despite the fact that Maine CO2 emissions from transportation are 6 times higher than CO2 emissions from electricity! Ten years later we know what a colossal mistake the Wind Act was, but Big Wind clutches onto its golden ring with understandable zeal, and with lobbying prowess. As we enter the period when all 186 legislative seats are up for election, as well as the governor's seat, FMM is redoubling its efforts to educate policymakers about the differences between fact and fantasy. CAN YOU GUESS WHICH OF THESE TWO PHOTOS APPEARS ON THE "CAREER OPPORTUNITIES" RECRUITING PAGE OF UNUM'S WEBSITE? The state is forming a "commission" that will study the long overdue balancing of Big Wind's impacts and benefits. The governor is concerned about "tourism" but it is more than tourism. The very Maine brand that is so integral to our economy is at stake if we allow southern New England to convert us into a tragic power plantation with no climate or economic benefits. Hundreds of businesses rely on the integrity of the Maine brand, and they buy and sell it daily. To defile that brand for an unnecessary and ineffective Wind Lobby is utter folly. Please stay tuned as the legislative session turns into the home stretch, and as politicians hit the streets looking for votes. 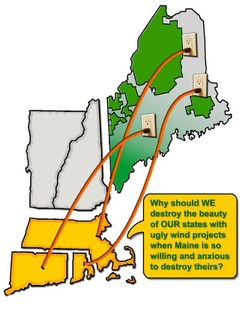 FMM will continue to remind Maine about wind energy's high impacts and low benefits. Today the State of Maine issued an order calling for a re-examination of Maine's embattled "Wind Act" and its "expedited" permitting for destructive industrial wind projects. The order includes a de facto moratorium on permits for new wind projects until a commission can make recommendations about the Wind Act, now that Maine has ten years of experience with a land use of unprecedented scope and scale: industrial wind. Friends of Maine's Mountains (FMM) had urged the Governor to act decisively before a Massachusetts selection committee announces preliminary winners in a historic Clean Energy RFP. That committee has said it intends to make those announcements tomorrow, January 25. There are some very attractive bids in that RFP, but there are also several ominous bids that propose massive Maine wind buildup. "The original Wind Task Force a decade ago embarked with untested assumptions, false presumptions, and unrealistic expectations," said FMM Chairman Rand Stowell. 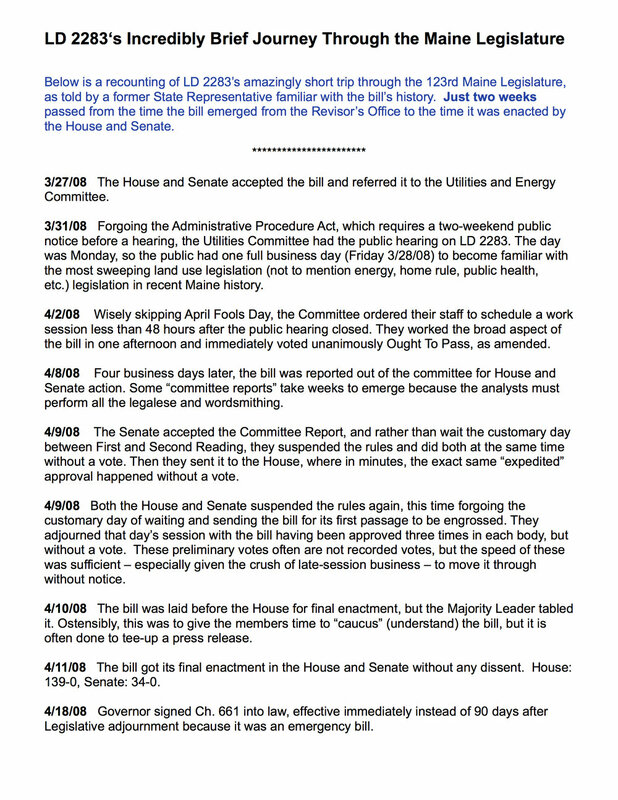 * The Wind Act, one of Maine's most sweeping laws ever, sped in only a few days through the legislature without debate and without a single dissenting vote (see graphic below). Stowell further said "It was 'garbage in - garbage out' and we've been fighting to overturn a horrible law ever since." "Most of us thought wind energy was a great idea because it was going to get us off oil, save the planet, improve the economy...it was a 'can't miss' until we learned that none of that was going to come to fruition because of wind energy. After ten years of struggling under an ill-conceived law, now Maine knows the massive impacts are just too high a price to pay for such minimal benefits. The Expedited Wind Law been Maine's worst policy boondoggle since Car Test. This commission is a good chance for Maine to correct its mistakes." The original Wind Act called for 3000 megawatts of installed wind in Maine. After achieving a third of that goal, Stowell said "Mainers now realize that there is simply no more room for industrial wind in Vacationland. We have had enough. Over 100 Maine communities have learned the facts and then taken action to protect against wind encroachment, so today's order recognizing Maine's frustration comes as no surprise. Because Maine is already doing its part to combat climate change, there is no rationale for destroying our Quality of Place." Maine is preparing for battle, as some historic decisions are being made this month in Boston. The Massachusetts Clean Energy RFP has attracted numerous proposals to develop industrial scale wind energy that could more than triple the installed wind capacity now in Maine. 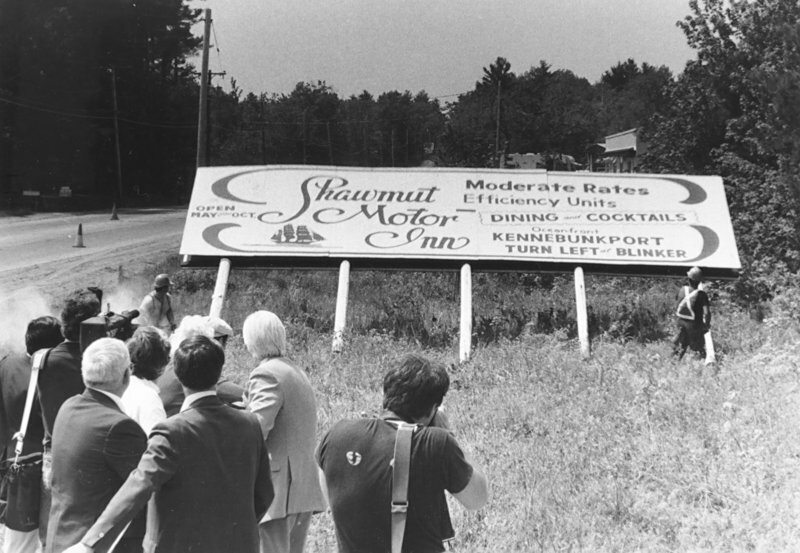 Nobody appreciates a clean environment like Mainers, who banned billboards in 1977. But when it comes to hosting wind plantations, we have had enough. A decade ago Maine generally viewed wind energy as necessary, useful and trendy. But having witnessed wind’s colossal impacts and miniscule benefits, over 100 Maine communities have taken action to thwart wind development. Boston is the 12th ranked city in the nation with 49 skyscrapers over 100 meters tall. Shockingly, our pristine Maine woods are host to almost ten times that many skyscrapers. On mountains! Maine has reached its limit, with almost 1000 megawatts of installed wind energy. If the pending Boston decision triples that amount it will do grave harm to the New England Electric grid, to our regional economy, and to Maine’s environment. Tourism is one of Maine’s largest industries. Maine tourism depends on our brand: the outdoors. According to the Maine Office of Tourism’s latest figures, 41% of overnight visitors come primarily for the lakes & mountains/highlands/Downeast. That is more than the visitors who flock to trendy Portland and Maine’s spectacular beaches combined. Moreover, a whopping 88% of overnight visitors came to Maine for touring/sightseeing/active outdoor activities. This is 28% higher than people who came for the food scene. Tragically, these special areas and the outdoor activities within them are directly threatened by industrial scale wind development. Massachusetts is Maine’s biggest tourism customer. So it is clear that Massachusetts citizens appreciate Maine’s fabled Quality of Place, which the Brookings Institution called our “calling card, brand, and truest source of prosperity.” Ironically, the state that apparently loves Maine most is now poised to destroy that which makes Maine such an attractive outdoor destination. Everbody has responsibility for the environment. Maine is doing its part. The Bay State’s population is five times greater than Maine’s. Yet Maine has five times more wind turbines. While wind developers won’t even bother trying to locate in Massachusetts, they readily industrialize Maine’s iconic White Mountain National Forest, our Mahoosuc Range, the High Peaks Region, the Boundary Mountains, the Appalachian Trail, Katahdin and other priceless natural resources. Maine has the highest Renewable Portfolio Standard of the 50 states. Maine CO2 emissions from electricity rank third least in the nation, contributing less than 2% of total New England CO2 emissions. Maine has facilitated industrial wind speculators to bill ratepayers for over a billion dollars worth of massive wind infrastructure, not including the billions more in accompanying transmission costs and capacity payments. Maine is doing its part. While high energy costs have exacerbated Maine’s loss of industry, Massachusetts has persistently isolated us from nearby plentiful and inexpensive natural gas supplies. It once seemed smart spending money on wind infrastructure instead of gas infrastucture. But now we know that wind contributes only a tiny fraction of our electricity, while our neglect of critical gas investment is forcing an expensive and dirty return to oil and coal. Massachusetts should do its part: allow crucial gas pipeline upgrades, host its own wind turbines, and buy quality renewables from Quebec. There are some good and necessary proposals in the RFP. The selection committee must make sound policy decisions, rather than chase old trends. "More than 4,200 megawatts (MW)…will have shut down between 2012 and 2020 and is being replaced primarily by new natural-gas-fired plants…Over 5,500 MW of additional oil and coal capacity are at risk for retirement in coming years, and uncertainty surrounds the future of 3,300 MW from the region’s remaining nuclear plants… These retiring resources are likely to be replaced by more natural-gas-fired resources, thereby exacerbating the region’s already constrained natural gas transportation system…"
Thousands of low-performing wind turbines cannot fill this growing void in baseload / peakload power. Only the High Voltage Direct Current transmission projects from Quebec (one of them in Maine) can provide the dispatchable, clean, affordable energy that New England wants and needs. Mainers will oppose wind projects at every stage of permitting. This link https://www.iso-ne.com/isoexpress/ shows in graphs and charts what feel-good energy policy looks like on a frigid winter day. We already “got off of oil” largely by switching to cleaner natural gas. 30 years ago oil accounted for over a quarter of Maine's electricity generation. Even as we closed Maine Yankee we started to get off oil, and by 2012 oil generated less than half a percent of Maine electricity. Natural gas generation climbed to 60 percent. The real time pie chart shows how on cold winter days we are consistently using oil for at least 25 percent of generation. Mothballed coal plants are also firing up, quadrupling their normal generation. And New England spot prices leap tenfold from 30 dollars to 300/MWH! Today’s wholesale electricity spot price in Western New York is $33/MWH or less and Hydro Quebec at the New York border is selling for $10.80 MWH. Gas is plentiful just past New England. While our neighbors pay some of the lowest worldwide prices for natural gas, New England pays some of the highest. Our Algonquin Citygate Spot price for gas is $20/MMBTU today which is down from $30/MMBTU yesterday. The Henry Hub Spot price for the rest of the country is only $3/MMBTU today. Our exorbitant cost is all about the pipelines. No pipelines = No Gas. Because gas is being used heavily by sectors other than electricity, like heating and manufacturing, the gas fired power plants cannot answer the call, necessitating our reliance on coal and oil plants that we ratepayers also pay billions annually just to sit ready. Why can’t we get enough natural gas? Because Massachusetts feels good about ruining Maine Mountains with billions of dollars worth of low performing wind turbines (see chart: generating one percent today) while simultaneously refusing to allow expansion of crucial gas pipelines in the Bay State. All this while Maine policy makers apparently embrace our becoming a wind plantation. Bad for the ratepayers, clean air, the economy and the environment. But the nimbys in Massachusetts feel good.